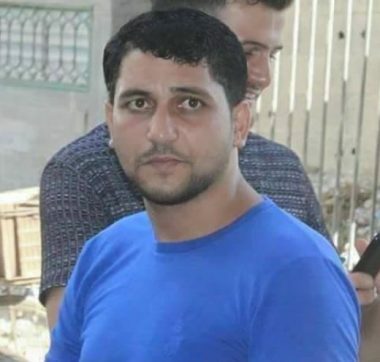 Israeli soldiers killed, on Sunday evening, a young man near the perimeter fence, in Abu Safiyya area, east of Jabalia, in the northern part of the Gaza Strip, and abducted three other Palestinians. The Israeli army claimed the Palestinian was killed by the soldiers while trying to breach the perimeter fence. The slain Palestinians have been identified as Attaf Abed-Rabbo Saleh, 32, from Jabalia. It added that the soldiers also detained three other Palestinians, and claimed they carried knives, and were moved to an interrogation facility. After shooting the young man, the soldiers crossed the fence and advanced a few meters into Gaza, before taking him, and the other Palestinians. It later said the man has died from his wounds. Medical sources in Gaza said Palestinian medics tried to reach the seriously wounded young man, but the soldiers opened fire at them, preventing them from even approaching him.